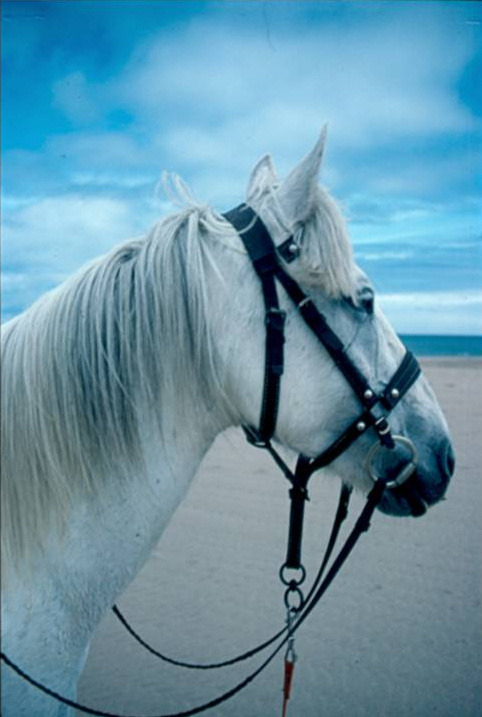 Mollie was my Connemara pony on whom I fulfilled a childhood dream to do a long-distance ride with no set route and no support. Sounds surprising for a 70 year old? You’re right. I took a “career break” back in 1984, when I found myself unexpectedly single again. I reckoned it was now or never. I was publishing a couple of titles a year then, and spending several months in South America leading tours. So I went to Ireland and bought a pony. But after 400 or so miles, the Mollie part ended in heartbreak. To know what happened you need to read the book (Connemara Mollie will be published in July). But why wait 27 years to publish it? Here’s why. When I got home from my two-part adventure in 1984 I could hardly wait to start writing. Although I hadn’t set out with the intention of writing a book, I’d kept a diary which I wrote up each evening in my tent, listening to my tape recorder play-back to catch the immediacy of the moment. But on my return I had books to publish and correspondence to catch up on, so it wasn’t until the following spring when I found the opportunity to start my book. My parents went on holiday, leaving me to house sit. I sat at the scrubbed kitchen table on which I had spent so many childhood hours drawing, painting and modelling horses, and started writing. I wrote in pencil on thick A4 pads of lined paper. I worked steadily, checking my route on the maps I had carried with me, and listening again to the tape recorder to catch bits of dialogue, absorbing the cadences of the Irish accent and hearing the clip-clop of my horse’s hoofs as we covered the miles. When my parents returned three weeks later I had got it all down, but it needed a lot of revising and polishing, and for this I needed another period of isolation away from my desk. A house-sitting opportunity came up again, this time in Harringey. As well as solitude it had another advantage: an African grey parrot. I adore parrots. I packed the two blue writing pads into a cardboard box, along with some maps and photos, put a few clothes into a suitcase, and drove my ancient car to north London, arriving at Julian’s house at dusk. He had already left, but I let myself in and started unpacking the boot, putting the box containing the manuscript on the garden wall so I could take my case inside. There were lots of written instructions to absorb and a very cross parrot. The phone rang, Polly escaped and started walking determinedly down the stairs, and by the time I had got her back into her cage and found a sticky plaster for my finger where she’s bitten me, all I could think about was a nice cup of tea and then supper. Next morning I cleared the table, cleared my mind, and prepared to start work on the book. But where the hell was the manuscript? It wasn’t in my bedroom, nor in the kitchen. Nor, to my increasing dismay, in the car. As I traced my actions back to unloading the car, I felt that awful sinking feeling all too familiar to absent-minded people. I’d never picked the box up from the garden wall. And it was no longer there. I was distraught. Remember, this was pre-computers, and the only copy of my precious book was the one I’d lost. I couldn’t, wouldn’t write it again. I cried for about an hour, and then found a sheet of white paper and a black marker pen. “£50 reward!” I headed it. Yes, a huge amount of money, but someone must have taken the box, been disappointed at the worthlessness of its contents, and could be persuaded to return it. I went to the photocopy shop and had 100 copies printed. These I put up on every telegraph pole and lamp post, and posted through all the neighbouring letterboxes for several blocks around. I was sure that someone would phone within a matter of hours, and certainly the next day, but I heard nothing. My despair deepened. I was alone in a strange house with a hostile parrot, and my whole purpose for being there had disappeared into thin air. Soon I had to leave not only London but England, being due to lead a trip to Peru where I would be out of communication for over a month. Enter my knight in shining armour. Two knights. My friends Tanis and Martin Jordan heard about my loss – everyone I knew heard about my loss – and stepped in. “We’ll find a dowser” said Tanis. “There’s one who advertises in our local paper.” I was easily convinced to leave it in their hands – I had run out of both time and options. I still have the letter. “First, no luck so far. Ginny and I drove over to Hornsey, located the spot on the map and parked the car. The one thing I’d been dreading loomed in front of us – a builders’ skip overflowing with rubbish. However, a quick check of the map showed it to be on the wrong road, plus the fact that it had probably only been there a few days made it an unlikely chance, we convinced ourselves, but we gave it a quick once over just in case. We then located the exact spots on the map and these proved very interesting. One circle was over the school. The other was a long, shrub-lined drive leading to some barrack-style buildings. The sign at the end of the road said ‘Rokesly Road Kitchens. No Entry’. So we went in. The place seemed perfect for our search, full of rubbish under wildly overgrown weeds etc. Of course, being an explorer, I’d failed to bring a stick to poke around with and was wearing flip-flops. A few nettle and one bee sting later I waded out of the jungle, found Ginny, and peered through the windows of the buildings which were locked and deserted. So that’s still one possibility. “After that we decided to knock on some doors. I think they thought we were selling something since most people seemed to be out. And when they did answer the door they couldn’t understand what we wanted. But one lady not only believed us but was very helpful. She suggested the YMCA round the corner. The woman there was the most unhelpful person I’ve ever met. Her only comment was ‘Have you any scientific evidence to back this up?’ She did allow us to put a message on the notice board, though. “We were having too much fun to stop, so worked our way back to where we’d started from, searching drains and gutters, and paid particular attention to the school. We now had long sticks so went round the perimeter pulling out rubbish and examining it (fortunately it was quite a clean school). It was closed for the holidays but where the circle on the map was, we peered through the windows and saw – kitchens! So maybe there’s a link with those buildings we looked at earlier. We managed to find the caretaker – a large, black lady from Trinidad – who was the first really helpful person we met. She even knew what a dowser was. She insisted that we memorise the names of all the schools in the neighbourhood, including ‘Tottenham High at de back of de church’. I was sure that this exhaustive search would be rewarded, but when I returned home there was a message from Tanis saying they still had no news. Weeks passed, then months. I stopped thinking about the missing manuscript every day and came to terms with my loss. Sort of. I didn’t want to write it all again so that was that. Six months after I’d set that box upon the wall I was having dinner at my parent’s house and the phone rang. “She’s here if you want to speak to her” said my mother. “It’s Julian” she whispered. “What? How? When?” I spluttered. “I think it’s better not to ask any questions” said Julian carefully. Frustratingly, our local Capetonian bookshops don’t have DIngle Peggy in stock, but I’ve placed in order online, and can’t wait for it to arrive! I just know it’ll be as compelling as Connemara Mollie – thank you for telling such an enchanting story about the most beautiful country in the world. Who was the young man, how did he come to pick it up and keep it,how did he get to find you and return it??? Fascinating story, I want to know more! Aha, it took me a while to understand what you were referring to! I think you mean the young man who found my manuscript? I don’t know who he was because the house owner, Julian, thought it better not to ask him. My guess is that he took the manuscript (which wasn’t really theft since I was careless enough to leave it on a wall) hoping it would be worth something, and then got cold feet in case the police were involved. I had put ‘Reward’ notices all around the area so I think he made a note of the phone number (which was the house I was temporarily staying at) and when he found himself short of money, several months later, made the all-important call to Julian, who still had my parents’ phone number since I was staying there when we made the arrangement for me to house sit. Wow, what a story, Hilary. I hadn’t realsied you’d actually recovered the typescript… Did you scarifice any guinae pigs during the hunt?? Marvellous tale. And if this prelude is anything to judge by, then it’ll be a very fine book. It prompted me to reflect on famously mislaid manuscripts. Hemingway once left a case full of notes (included a completed novel) in a French train, while TE Lawrence left his first draft of The Seven Pillars of Wisdom in a café at Reading station – since hearing that I have generally avoided changing trains at Reading. But a manuscript lost and found is a far finer thing than one merely lost. I hope Connemara Mollie is a great success. It surely deserves to be. Sounds very Dervla Murphy-ish.